Youth centers can often be difficult projects, with a small budget and sometimes not much space. 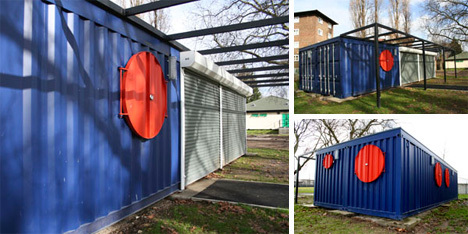 Urban Space Management constructed a stunning youth center in Meath Gardens with only two reused shipping containers and minimal cost. All construction work was done off-site so that the structure could be craned into place and installed within a day, minimizing the disruption to the surrounding park.